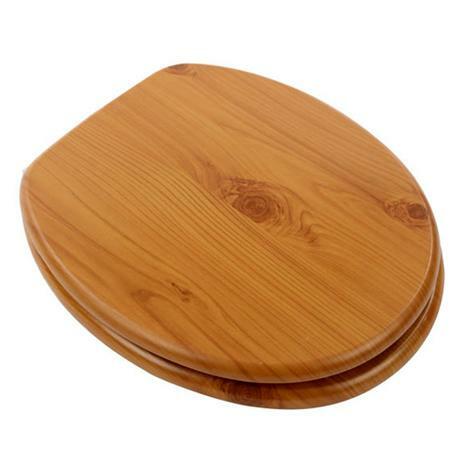 This toilet seat from Euroshowers is manufactured from a strong bond MDF and finished with an antique pine printed veneer finish. The seat features chrome plated metal hinges, hinges are adjustable to fit holes on a toilet between 105mm - 205mm. I am delighted with this purchase. It is exactly as described, delivery was prompt and value for money is excellent. Also easy to fit for a non DIY person like me! I would definately order from this company again.